The game of Golf just got better! 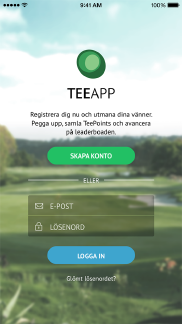 TeeApp is a social competitive app for golfers that lets you challenge your friends, collect TeePoints and advance in the leaderboard. The more and better you play the higher you will climb in your personalized leaderboard. 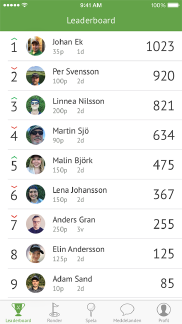 Your leaderboard position is based on the TeePoints you collect and TeePoints are collected by playing rounds of golf. 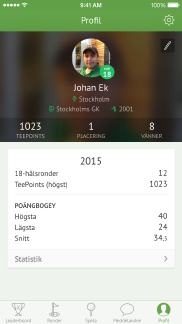 With a high stableford score, you will also be rewarded with TeePoints and a better leaderboard ranking. So if you’re in to golf then download the app, peg up and show your friends who’s the best golfer!